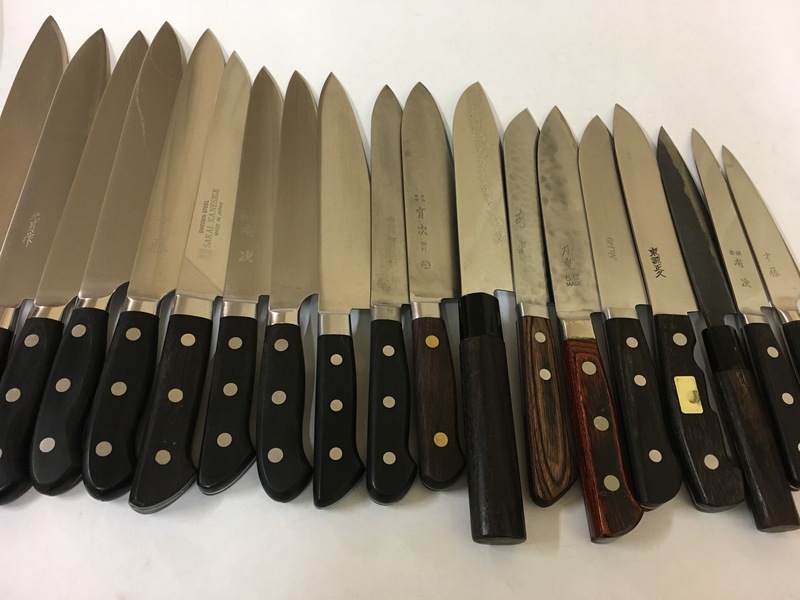 SAITO KNIVES provides a very unique knife sharpening service Australia wide.Usually, sharpening work is performed with an electric grinding wheel that often take a chunk out of your knife and in worst case scenarios, overheats the blade. At SAITO KNIVES, all knives are hand sharpened and edges mirror polished by Japanese knife specialist using 4~5 different whet stones. 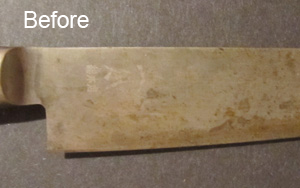 By finishing with # 12,000 super fine polishing stone, edges become razor sharp and stay sharp for longer. 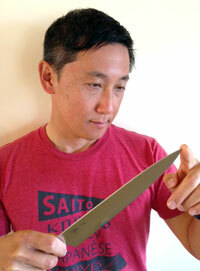 Proprietor and knife doctor Masaaki Saito will come to your house or business to collect and return. Between Brunswick Heads to Ballina: Next day or 2 Business days. Brisbane, Gold Coast and Tweed Coast: Saturday pick up and Thursday delivery on approximately once a month basis. Mail: Please contact us first to check our schedule. Please contact us or call Masaaki on 0431428507 to book in. 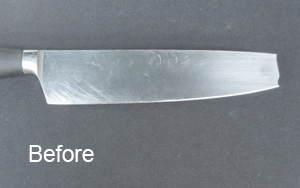 Five reasons to choose SAITO KNIVES's knife sharpening service. 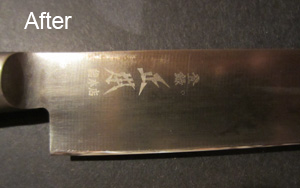 All knives are hand sharpened by Japanese knife expert using variety of whet stones. No machine is involved throughout means only minimum amount of material removed and no overheating blade. 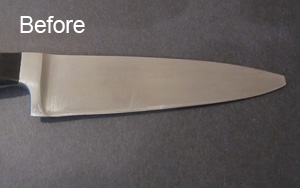 Only 3 fixed prices by length for most knives. Always premium service for your premium knives. We love and care knives more than anyone. Free pick up and delivery in Gold Coast and Northern Rivers with courtesy knife provided upon request. For outside of coverage area, additional shipping fee is calculated according to the weight and items are sent by Australia post signature on delivery. 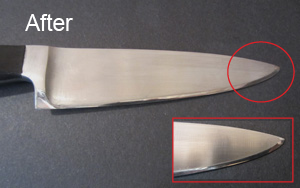 Traditional single bevel Japanese knives and heavily damaged blade may incur extra charges depending on the condition. 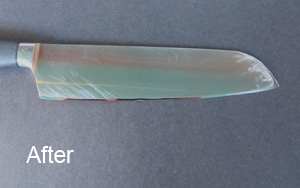 Please contact us first to check our schedule and price before you post your knives. We will email you an invoice for direct bank deposit or online credit card/ PayPal payment option. For customers who wish to use direct bank transfer, please type the invoice number for your reference. There had been cases of knives coming out loose from boxes and bags. 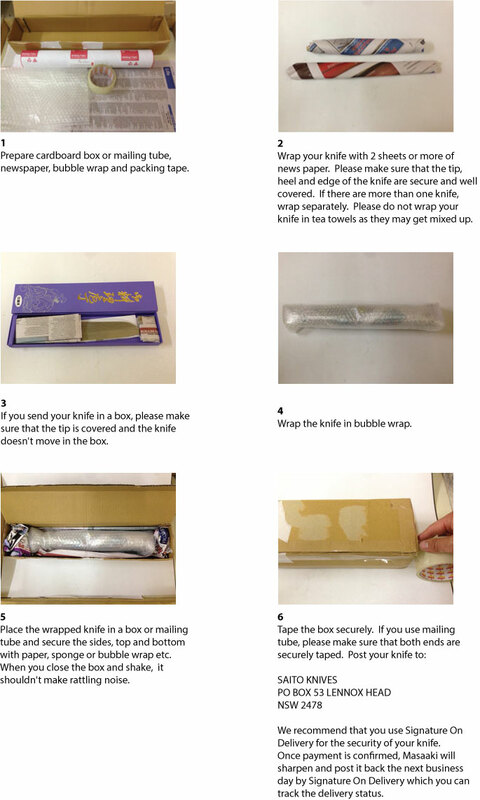 For safety of postal staff and for your knife, please make sure that your knife is very securely packed in a box and the knife is not rattling inside. SAITO KNIVES are not liable for any damage and loss of items or injury caused to other people during the transportation to us.